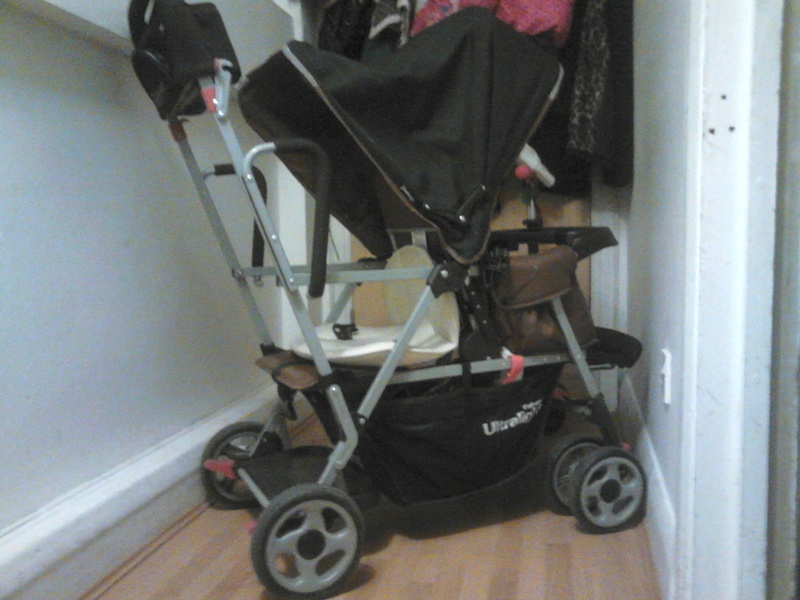 Ever since my first daughter was born 4 years ago I have gone through more buggies and pushchairs than kiddicare.com. My first ever was a baby weaver travel system which came with a carry cot and a car seat. By baby was nearly 4 kilos at birth and long so she did not get much use of the car seat. She only ever went in the carry cot once at 2 weeks old and cried at the top of her lungs. After this I went through other buggies and most recently the Hauck Freerider which I only purchased 1 year ago but hardly used. Anyway to cut the long story short I have found the buggy that I should have purchased 4 years ago…introducing the Joovy ultralight! I did not want to waste anymore money on buggies so I decided to buy on gumtree.com. A nice lady listed one some time in May,i paid £65 and collected. My superhusband steam cleaned it for me and it looks fantastic. So far I have managed to ditch the sling for good and have been using my new best friend the Joovy ultralight. It is so easy to push and I love the fact that Grace can stand up on the board or sit on the bench if she gets tired after a long day out. This buggy has made nursery run so much easier especially when getting on or off the bus. It only takes the space of a single buggy so no more grumpy bus drivers telling me to wait for the next bus. Shame this buggy is not widely available here and I only had 2 options ebay or gumtree. There were plenty of sellers all based in America but by the time you calculate £80 shipping fee, it is enough to put you off. My advice if purchasing a buggy, buy a good one which can be used for years and for more than 1 baby if you intend to have more of course…(wink wink). This buggy can accommodate a new born baby by enabling you to attach a car seat. It can accommodate a toddler and so far I had been able to carry my 1 year old,her big sister and their friend from nursery so yes it is amazing it can take 3 children. I am really enjoying my hassle free outings and highly recommend this buggy.